In my part of Texas we are under a heat advisory. That means that it can be dangerous getting outside in the heat of the day. Our high today was 101 degrees with a heat index of 107 degrees. It is important to take care of yourself and tend your animals either very early in the morning or late in the day. I prefer to do it about 8 pm. 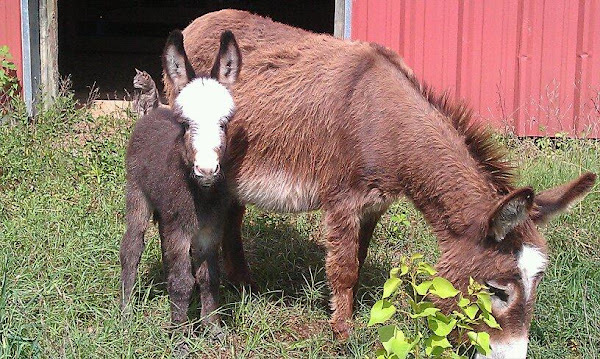 Make sure your donkeys and all pets have plenty of fresh water. My donkeys are drinking lots and lots of water each day. They enjoy the tanks topped off at the end of the day with cool water. Stay cool!